Why is quality control important for LG's global supplier of IGU's? Sparklike Representative Officer from China, Ms. Jolene Hu, interviewed Sparklike's customer, Mr. Jianyong Sun from Taizhou Tian En Glass Product Co., Ltd. (later referred as Tian En) to find out more about their quality control procedures. Tian En is the global supplier for LG Electronics, the global leader and technology innovator in consumer electronics, mobile communications and home appliances. Since LG Electronics has very strict inspection standard on the value of argon gas concentration – as it affects the final performance of refrigerators– Tian En purchased Sparklike Laser Portable™ device to be able to measure the insulating glass gas content without breaking the unit. Sparklike: What is your company size and how many IGU's do you produce daily? Tian En: The total number of employees within the company is 148 people. The daily production capacity is 800 pieces of argon gas filled insulating glass units. Sparklike: What sort of glasses do you produce and who's your biggest client? Tian En: Our product configuration is triple glazed insulating glass units with one coloured glass pane and two low-e glass panes. 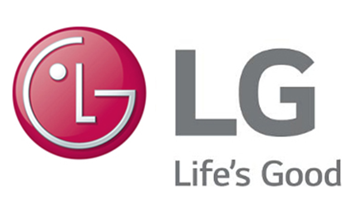 Our biggest client is LG Electronics. 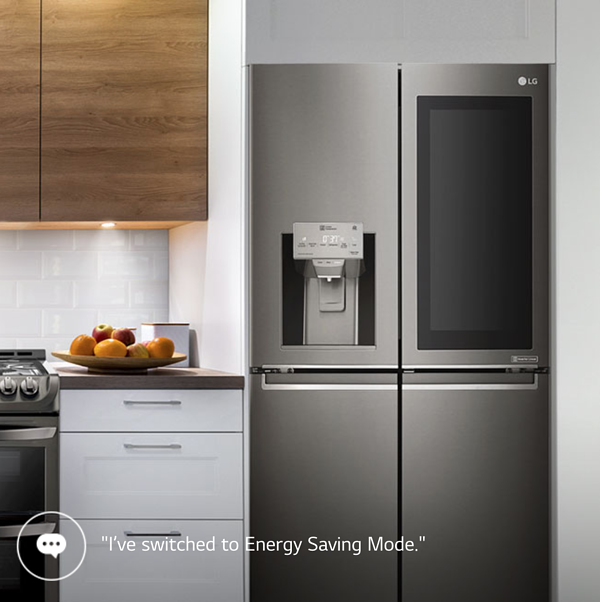 LG Electronics was established in 1958 and has since led the way into the advanced digital era thanks to the technological expertise acquired by manufacturing many home appliances such as refrigerators, radios and TVs. LG Electronics plays an active role in world markets with its assertive global business policy. As a result, LG Electronics controls more than 100 local subsidiaries worldwide, with roughly 74,000 executives and employees. Sparklike: What have you done so far to guarantee the quality of your IGU's (have you used test laboratories, invasive measures etc)? If yes, what extra benefits are you hoping to get from non-destructive measurement? Tian En: We regularly send our units to the third party for testing. In addition, we perform conductivity checks. Sparklike: If you used to have Sparklike Handheld™ device, what made you change to Sparklike Laser Portable™? Tian En: We selected Sparklike Laser Portable™ device for many reasons, but mainly due to its mobility and non-destructive measurement. This mobile device is part of the Sparklike Laser™ product line. All the devices are developed and manufactured by Sparklike, and they allow non-destructive insulating glass gas fill analysis for triple and double glazed units, even through coatings and laminated glasses. Sparklike: What is the significance of receiving high quality product to your customers and for your reputation? Tian En: High quality brings high profit. Sparklike: If you would have not purchased this device, what would have done in order to guarantee the quality of your products. Tian En: Send to the third party for test regularly. Sparklike: What are your expectations towards Sparklike Laser Portable™? Tian En: With this device, our measurement results can be more reliable and stable. Sparklike: What were the biggest challenges concerning glass processing and quality control (before testing with our device)? Tian En: The biggest challenge is to verify the virtual value of the argon gas concentration inside the IGU. Sparklike: What is best about Sparklike Laser Portable™?/ What is the problem that they are hoping to solve by using Sparklike Laser Portable™? Tian En: The best about the device is its accuracy of measurement. Sparklike: Do you follow certain standards/norms and/or do you have certificates for your products? Tian En: We are the global supplier for LG Electronics, the global leader and technology innovator in consumer electronics, mobile communications and home appliances, employing 75,000 people working in 118 locations around the world. Therefore, this stresses the need to fully comply with LG Electronics' test standard for production and purchase. Sparklike: What is the current state of the IGU market in China/Asia? Where do you think the IG industry is going in general? Tian En: The insulating glasses are nowadays used in many industries quite often, e.g. in buildings and home electrical appliances. Therefore, we believe that the market outlook is good. Sparklike: What do you think is the future of IGU’s and quality control/standards in China/Asia? Tian En: The inspection standard should be improved. In addition, there is a clear need for some quantitative description. Sparklike: Who will be using the device in your organization? What does a day in their life look like? Tian En: The Quality Control Department manages the device and the QC Inspector is the user of the device. Their daily duty is to execute the time check on the argon gas concentration to see if the specification has been followed. Sparklike: Are you expecting any benefits on effectiveness of your manufacturing processes after using Sparklike Laser Portable? Tian En: The effectiveness of performance on argon gas filled IG production may be improved. Sparklike: How does this influence you customers? Tian En: LG Electronics has very strict inspection standard on the value of argon gas concentration as it affects the final performance of refrigerator.